It wasn't for nothing that Bayern Munich recently offered French winger Kingsley Coman a new five-year deal, with not only the stats but the player himself saying he's getting better all the time. In what was an injury-plagued 2016/17 campaign, the 21-year-old speedster managed 25 games in all competitions, scoring twice and providing just one assist as Bayern won a fifth consecutive Bundesliga title. This time around, the Paris-born winger is just one game shy of equalling that games tally and has improved immeasurably elsewhere, managing four goals and seven assists at the halfway stage of the current campaign. "I think I turned in some pretty decent displays [in the hinrunde] but I also know that I can play much better," Coman told Bayern's official website this week. "I'll work on it in the second half [of the season]." So what exactly has made the difference this season for the former Paris-Saint Germain youth player, who was also on the books at Juventus? "It's always been important to me that I live professionally, but I've realised I have to pay more attention to what I do off the pitch to attain the highest level with my explosive play," Coman explained in a wide-ranging interview with fcbayern.com. "I pay attention to my diet. I haven't been drinking carbonated drinks for a long time [and] I eat a lot more vegetables now," the France international continued. "One meal per day consists of salad or other vegetables. I make sure to sleep a bit in the afternoon. These are small details but they ensure I'm in top form physically." 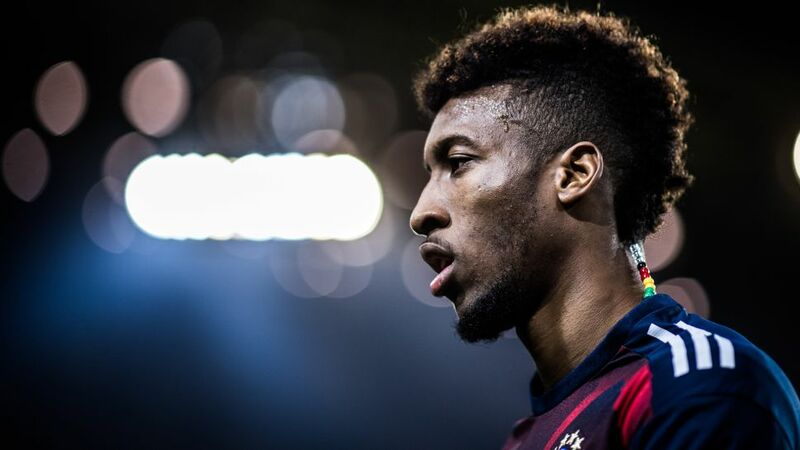 Being a huge part of coach Jupp Heynckes's plans and involved in a treble-chasing campaign are placing big demands on Coman, while the prospect of featuring for France at this summer's FIFA World Cup in Russia all feed into the player's determination to impress and improve. Now fully settled into life in Germany, the title winner in three different countries said he has been happy to learn under the returning Bayern tactician. "[The] moment before I cross into the box, when I'm at pace, the coach told me to slow down a little. It's worked quite well so far. I'll keep working on it," Coman said. Elsewhere, he would like to focus on areas such as, "Finishes, both the shot and the final pass. I often succeed at initiating good moves but I have to finish them better. I have to stay calmer in those moments." Admitting he has felt at home in Germany - despite the winter cold - from day one, the player who is proud of his Caribbean heritage has been most impressed by the locals. "The people are very respectful there. If they want to take a photo with you they ask politely. I like that," he said. "Virtually everybody speaks English well. That wasn't the case in France or Italy, where I lived for one year. It was an advantage in my first year in Munich." And of his own level of German? "I understand it quite well, and I can talk to my teammates. I recently gave my first whole interview in German. But I will keep working on it. The language isn't easy," he concluded. With his quick feet doing most of the talking these days, Coman is on course to sprint his way toward a memorable conclusion to what has been his most productive season to date. Click here for more Bayern news, view and features!